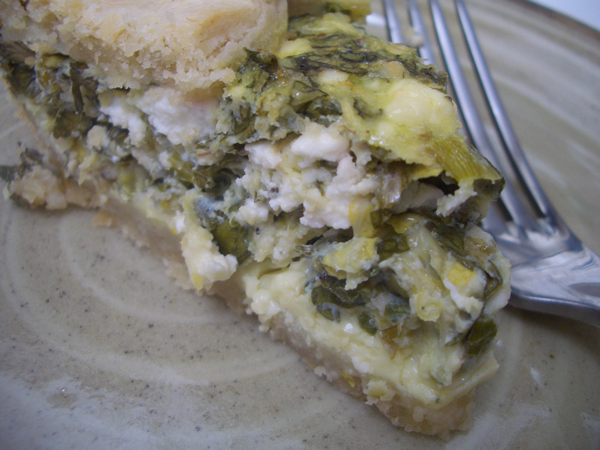 This pie is a riff on my spanakopita recipe. Being Greek I grew up eating a lot of dandelions, mostly wild, which are quite bitter. I love bitter greens, and that’s a good thing given the markets are full of them this time of year. The pie is rich and delicious and pretty simple to make. An easy thing to throw together the night before and serve for lunch with salad or soup. You can use any greens you like. 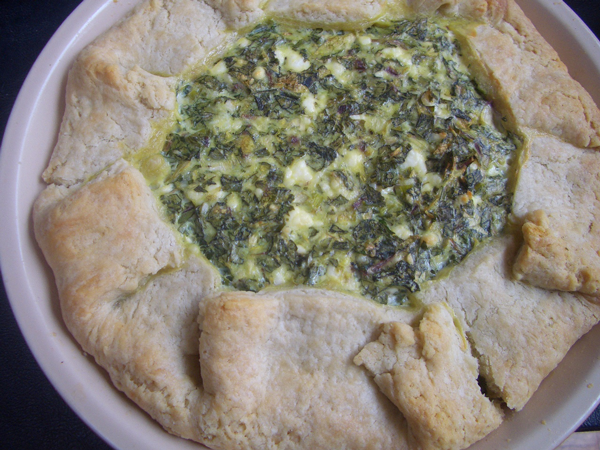 If you like the taste of a particular type of greens on their own, they’ll be perfect for this pie. And though I’ve used the word bitter many times, this pie isn’t. It’s earthy and cheesy and buttery. *I’ve said this before, but for those who don’t want to revisit my lengthy feta cheese lecture here, I will try to be brief. When you have a recipe made up of so few ingredients, the quality of those ingredients is important. You want earthy, gamey, salty, briny cheese. I’ve found Greek, French and Bulgarian sheep and goat’s milk fetas to be the best. There is a lot of angry debate about what can be called true feta based on origin, etc. I’m not going to bother with that. I care about what it tastes and feels like, and for the most part cow’s milk feta tastes bland and feels like rubber. And never ever use the super dry and chewy feta that’s been pre-crumbled. If for no other reason than you’re paying more to have someone crumble your cheese for you. Give your fingers some exercise, save some money, eat better quality cheese. Enough said. 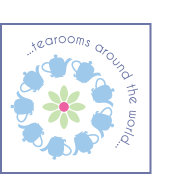 For a visual of what things should look like step-by-step, go here. Cut the butter into the flour and salt using a food processor, pastry cutter or fork. Add the water one tablespoon at a time until the dough holds together when pinched. Form the dough into a disk, wrap in plastic and chill for at least several hours. To trim the greens… You need to remove any tough stems. Dandelion stems are fairly tender from the tip to about the middle of the stem. From there they get a bit woody. What I do is chop off the top half and strip the leaves from the bottom half. It’s a little time-consuming, but not that bad. Do it while you’re watching that show. You know the one. Using a food processor or knife, chop the greens. At this point it’s a good idea to remove any remaining water by squeezing the greens with a paper towel or clean dish cloth. Set aside. Cook the onions in 1 tablespoon/15ml olive oil over medium heat until starting to brown, about 5 minutes. Let cool. In a bowl, combine the greens, onions, crumbled feta, eggs and a few grinds of black pepper. If you are making this the day before it’s best to make the whole thing and reheat it. 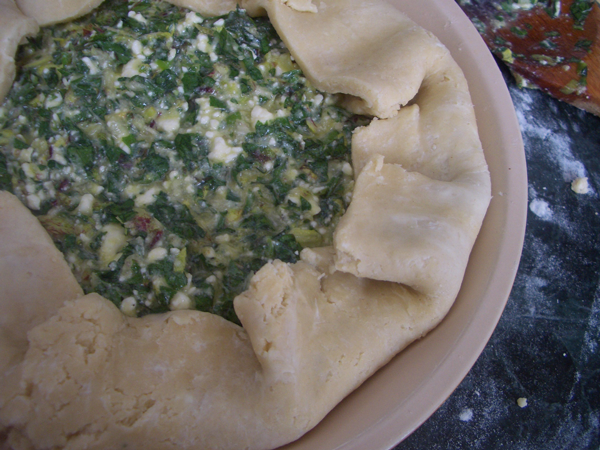 Don’t mix the filling together until the last minute or the salt in the cheese will draw the moisture from the greens and the filling will be very soupy. Once chilled, roll the pastry into a 12-inch/30cm round. If you do this on waxed or parchment paper it will be easier to move. Transfer the dough to a pie plate and gently press the dough all the way down making sure there aren’t any big pockets of air between the dough and the plate. Add the filling and spread it evenly across the plate. 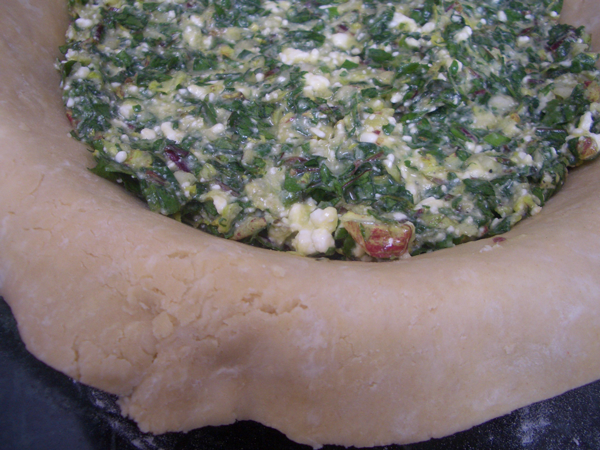 Gently maneuver the dough over the filling, folding and crimping as you go. It doesn’t have to be perfect, this is a rustic pie. Bake for 50-60 minutes until the pastry is golden and the filling is firm. Let cool for at least 30 minutes before cutting. The pie can be served hot or room temperature.